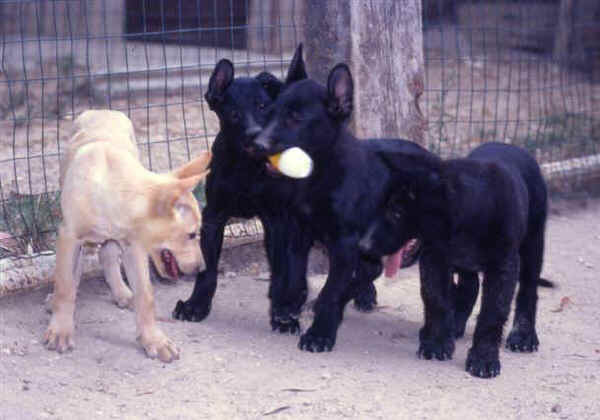 The history of the Italian Shepherd begins around 1975 when Piero Accettella (Breeding Little Ranch Cepagatti – Pescara) pointed out that black-coated dogs, average sized with wolf-like traits were living in Italy, particularly in some areas of Abruzzo, Marche , Higher Lazio, Tuscany and Umbria. Applied as livestock guard, with a lively intelligence and a deep psychological balance, the origins of this breed are lost in the midst of time. After careful researches, he obtains a few interesting dogs and, in order to give them an imposing bulk, he introduces molossian blood from Abruzzo. What he obtains is very interesting: as to the psychological side, he joins the flexibility of the original stock to the right distrust of the Abruzzo breed, thus having as a result a very balanced dog, able to any sort of training and a strenuous warden, though. 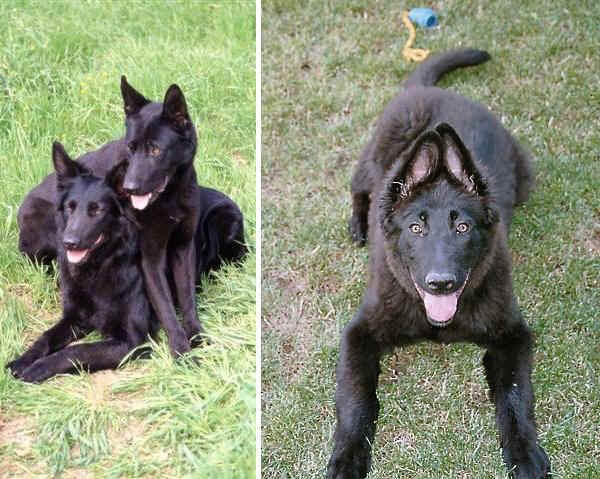 It belongs to the group of the shepherd dogs (group 1) ; it is applied as a watchdog, a guard dog and utility dog. A medium-large dog with well-proportioned harmonious structure, he is very supple and powerful, though. He is a tireless trotter, constantly searching around to guard its territory. He is very rough; an adult dog at four years of age, he has an iron constitution: a long-lived dog with a lifetime of 17 years. Serious and well-balanced, he never attacks without a reason, excellent guard, suspicious and snapping towards unknown people on his territory, while he is indifferent and unmoved outside his property and his master. As he has a strong temperament, he needs a firm master. He can adapt to any climate and master that he loves unconditionally.